File your objection to the “Plan for the Adjustment of Debts of the City of Detroit” and/or “Disclosure Statement With Respect to Plan for the Adjustment of Debts of the City of Detroit”. 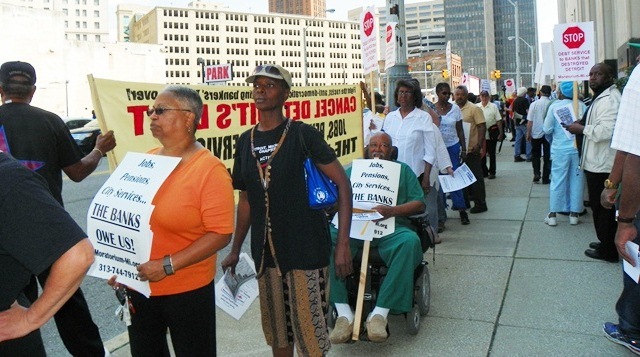 Protesters rally against Detroit bankruptcy July 25, 2013 at Coleman A. Young Municipal Center. 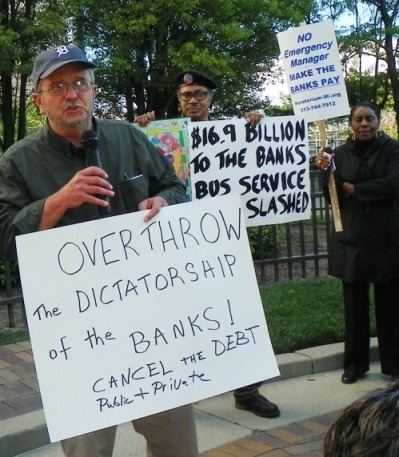 Protest in downtown Detroit May 9, 2012. 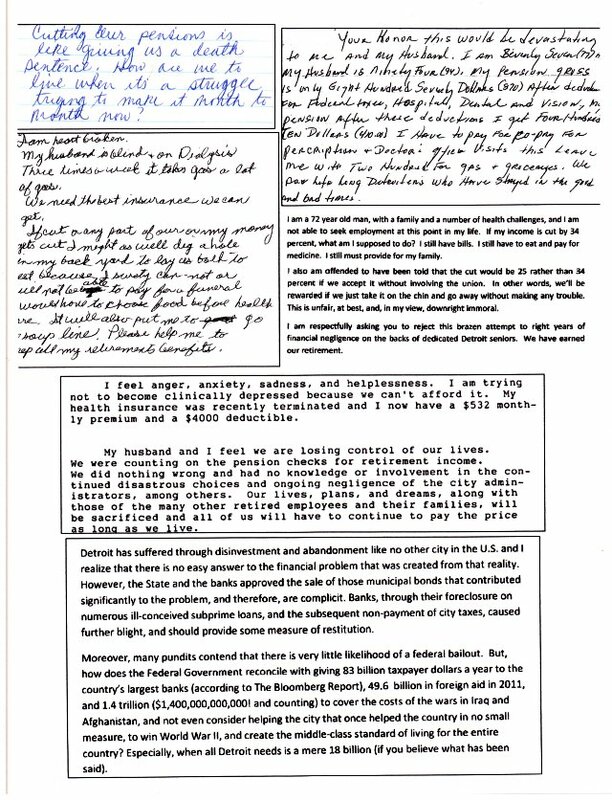 DETROIT — Over 200 retirees and other Detroiters have already filed profound and moving individual objections to Detroit Emergency Manager Kevyn Orr’s austerity plan for Detroit retirees and residents in bankruptcy court. 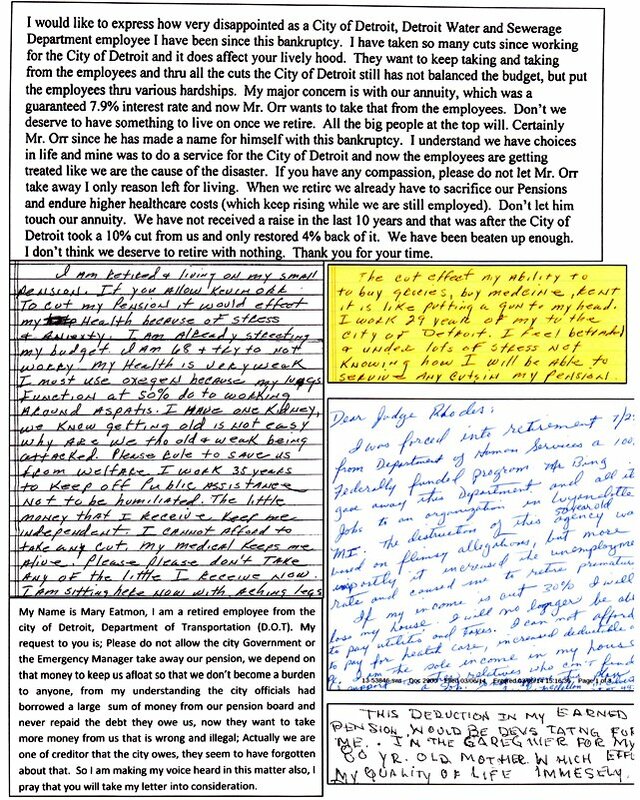 Some are handwritten, some are typed letters and articles, some are statements by groups such as Detroiters Opposing Emergency Managment (D-REM). U.S. Bankruptcy Judge Steven Rhodes, however, has not seen fit to include these on the court’s free website, under its special Detroit subsection. Big media is reporting only on filings by the banks and organizations opposing them, including the retirement systems and unions. VOD, however, has downloaded each individual objection from the official U.S. Federal Courts PACER website (which charges a fee), so that its readers can hear directly from individual retirees, ALSO FOR FREE. 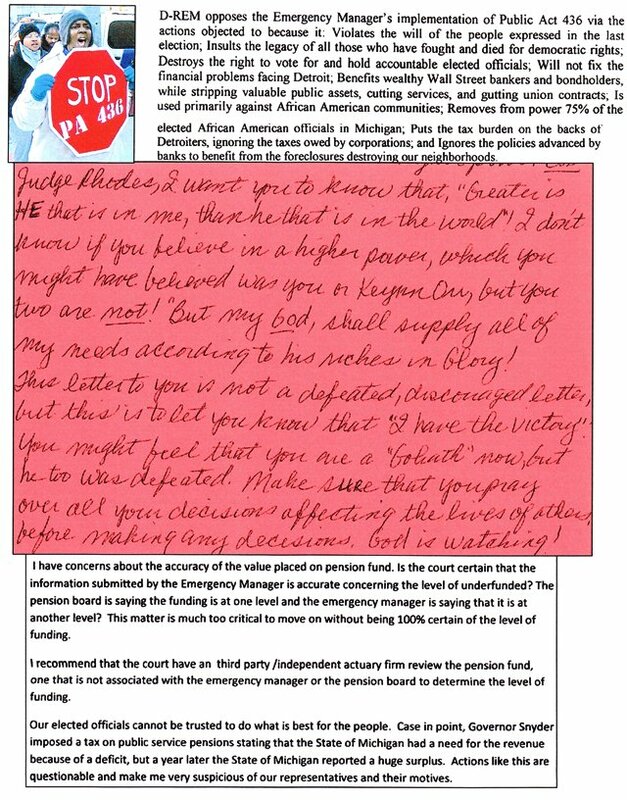 Rhodes is duty-bound to read these objections and consider them during the plan of adjustment hearings ahead. 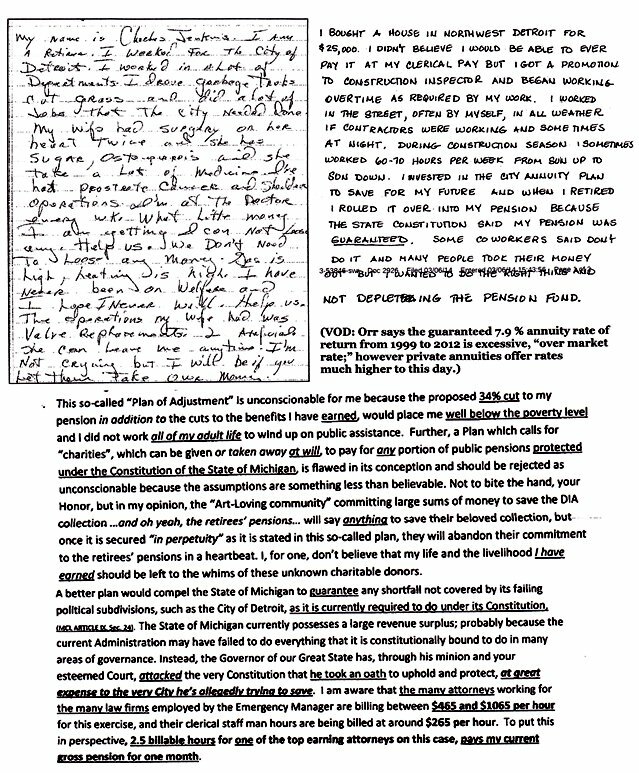 Below are excerpts copied from these objections. 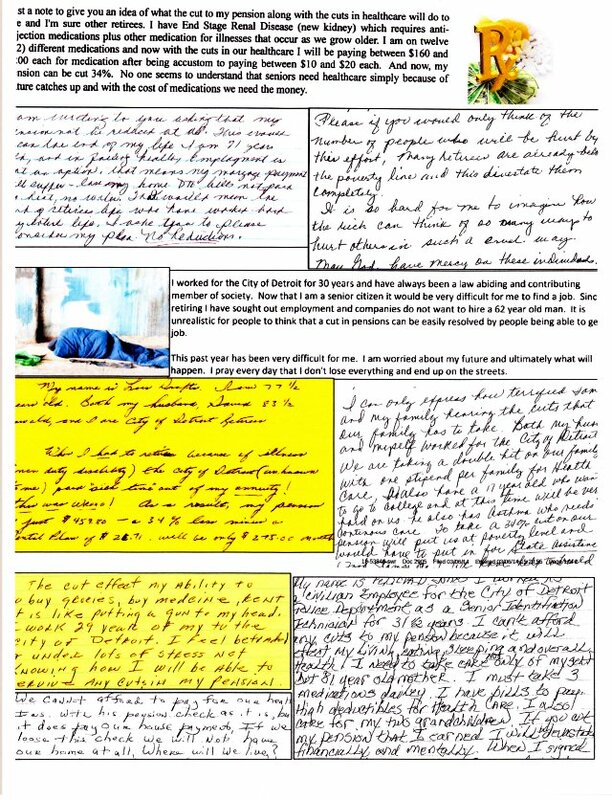 (If hard to read, use “Tools” button on your toolbar to enlarge.) Below those, VOD is posting a link to each individual objection. 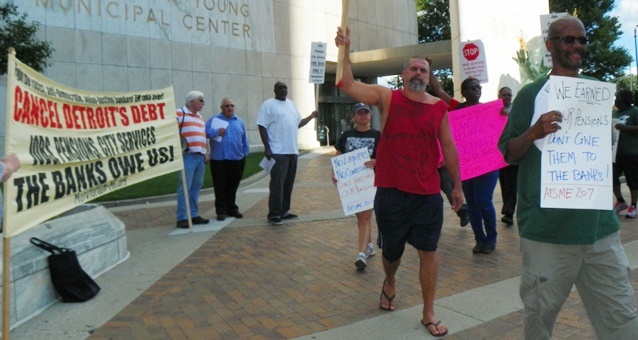 City retirees protest outside bankruptcy court Aug. 19, 2013.